Prime Minister Stephen Harper has failed to live up to promises contained in his historic apology for Indian residential schools delivered in the House of Commons in 2008, said Truth and Reconciliation Commission Chair Murray Sinclair Tuesday. Sinclair said he doesn’t believe the Harper government is committed to true reconciliation with the Indigenous peoples who find themselves within the boundaries of Canada. Sinclair was speaking during the release of the Truth and Reconciliation Commission’s (TRC) release of a summary of its final report. The full report will be released later this year. The report concluded that Canada committed “cultural genocide” against Indigenous peoples and used Indian residential schools as its main weapon to accomplish that goal. The report is the result of six years of work where the TRC visited 300 communities and heard from 6,750 survivors. The report found that at least 3,200 children who attended the schools died and many were buried without their parent’s knowledge and still lie in cemeteries that have been forgotten with time. Sinclair said “political action” is needed to break away from Canada’s historical injustices and find the path toward reconciliation. “Reconciliation requires deliberate, thoughtful and sustained action,” said Sinclair. Sinclair said the federal government needs to truly adopt the UN Declaration on the Rights of Indigenous Peoples. Sinclair said many of the commission’s 94 recommendations unveiled Tuesday are based on the principles of the declaration. “The Canadian government’s rejection of the (declaration) sends a clear message to Aboriginal people in Canada, all Canadians, and the world,” he said. The Harper government has said the declaration is merely an “aspirational document” that conflicts with the Canadian Constitution. 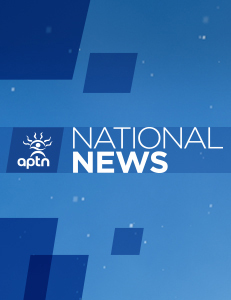 The government claims it gives First Nations people a veto over laws and development that impact their territories, something that experts say is not supported by the text. Commissioner Wilton Littlechild also called for the implementation of the declaration in Canada. “I believe (the declaration), a global consensus, is another solution that offers us a true framework for reconciliation,” he said. Littlechild also said Ottawa had to respect the treaties.